Your best choice in SENSE——Your OEM partner. 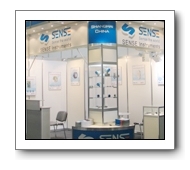 SENSE Instruments Co., Ltd is a professional high-tech company, which always specialize in researching, manufacture and sales temperature transmitter, pressure transmitter, digital circuit board, HART-protocol circuit board, and pressure sensors. We also take up with sales the high quality fittings for automation instruments. We have strong ability of R&D. And we have researched and manufactured new type smart products, its capability has reached one-up level of the world. SENSE has know-how, and can provide OEM products, customizes to your specific requirements ensuring your success in the marketplace. With the increasing market, some of the products are exported to Taiwan, Southeast Asia, Europe and other countries and regions. Along with the new products were developing ceaselessly and more and more products were pushed into the market, the trademark of SENSE was known by many customers.